Scholastic Australia has released a beautiful new storybook inspired by the stories and illustrations of May Gibbs. 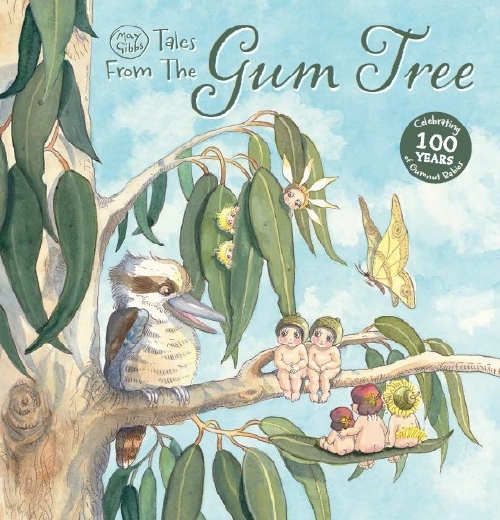 May Gibbs: Tales from the Gum Tree features those two lovable gumnuts, Snugglepot and Cuddlepie as they go on enchanting adventures in the bush. Join them on amazing butterfly rides, boating escapades and a surprise moonlight pageant especially for Mr and Mrs Koala. The hardback book is available now at all good bookstores or purchase direct from the Scholastic online store. 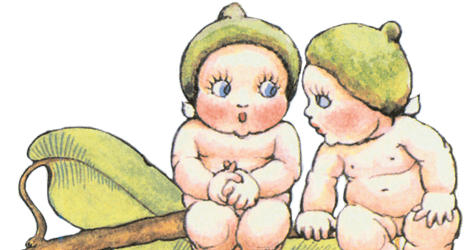 Head to our Stories section for more on this and other May Gibbs titles from Scholastic.